Our latest project was a beauty! 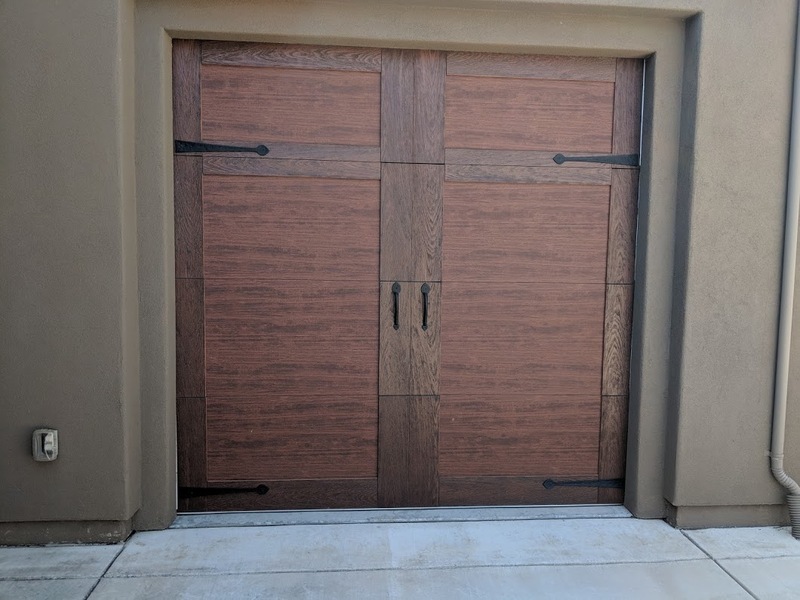 We installed these gorgeous Canyon Ridge garage doors by Clopay at a customer’s home in Pasadena. Their home setup is very unique in that they have a 2 car garage and 1 car garage opposite from each other in their driveway, as you can see below. 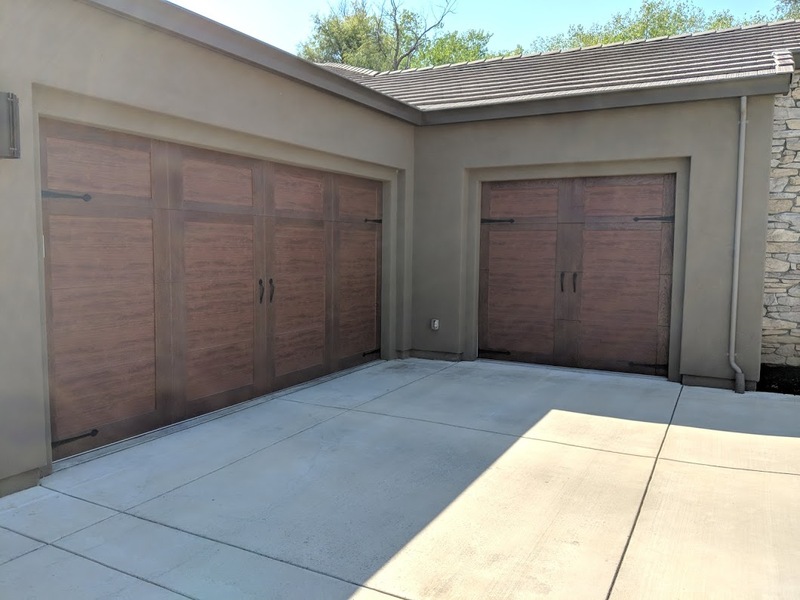 The homeowners chose these garage doors by Clopay which feature a four layer steel material. They have a carriage house style with a faux wood finish. 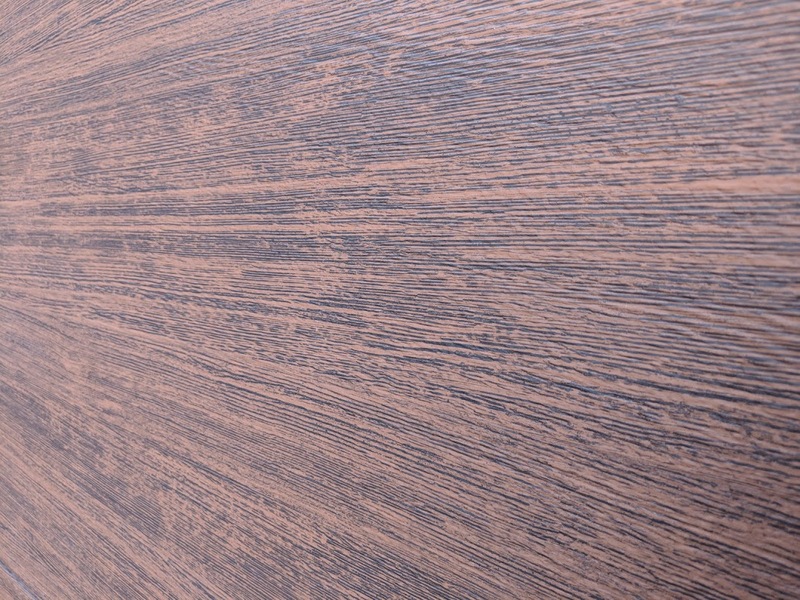 This gives the beauty and “look” of solid wood doors without the expense or maintenance. 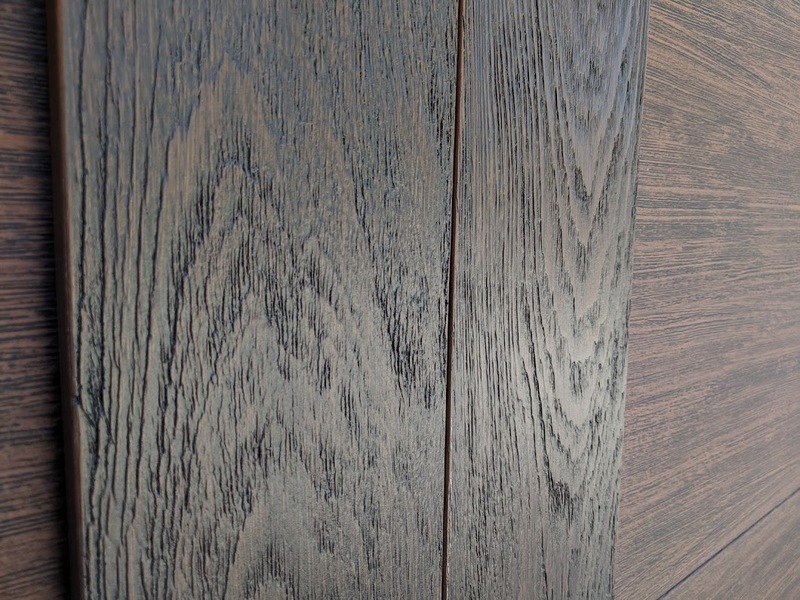 The photos below really show up close how beautiful the finish is on these doors. It’s easy to see and believe that they are real wood! The great thing about these doors is that they ARE in fact NOT real wood. The material is long lasting and durable, and weather resistant so it will stand up to rain and intense heat. The doors are more affordable and less maintenance than real wood! Clopay really outdid themselves with this door model, which features a 2 inch Intellicore® polyurethane insulation with a thermal break. These garage doors also have an 18.4 R-value. The doors feature Clopay’s Safe-T-Bracket®, a patented garage door safety feature. These doors are also covered with a composite overlay which is molded from actual wood pieces which helps to give it that natural look. The door is really a solid, durable door with so many finish options for any home style. Lastly, you can customize your garage doors with upper window panels that come in a variety of options. In this case, the customer decided on no windows for a solid door look. They also chose to use some iron handles as decorative accents. They have 4 strap hinges in addition to the hardware which adds to the carriage house look. The homeowners are happy with their new doors! If you are interested in garage door installation in the Pasadena area, give Gr8 Garage Door a call today!